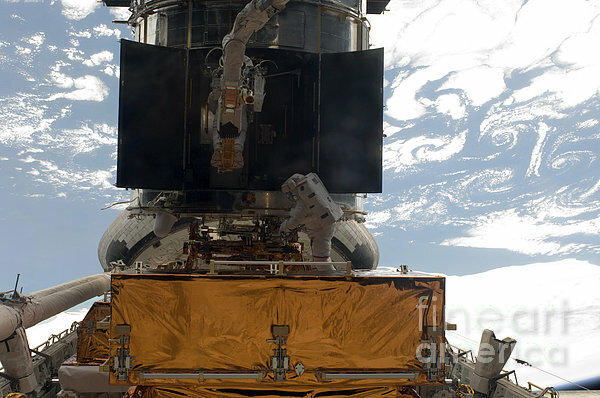 Astronauts participate in a session of extravehicular activity (EVA) as work continues to refurbish and upgrade the Hubble Space Telescope. 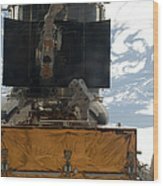 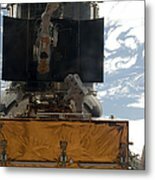 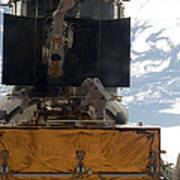 During the spacewalk, the astronauts removed the Corrective Optics Space Telescope Axial Replacement and installed in its place the new Cosmic Origins Spectrograph. They also completed the Advanced Camera for Surveys electronic card replacement work, and completed part 2 of the ACS repair, installing a new electronics box and cable.